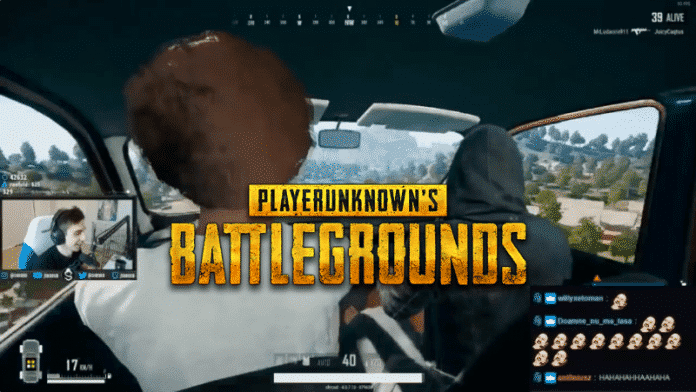 PUBG Corp., the developer behind the popular online battle royale game, “PlayerUnknown’s Battlegrounds” (PUBG) have been strict against those who are creating and selling hacks for the PUBG game. In the month of April, 15 suspects were arrested for developing and selling hacking/cheating programs that affect PUBG. The company is very clear that it wants to root out cheating from PUBG, as they want to create an environment for players that’s completely safe from hackers and cheaters. And their latest action just showcased that. According to Kotaku, PUBG Corp. has issued a one-month ban to Michael ‘Shroud’ Grzesiek – the most popular streamer on Twitch for PlayerUnknown’s Battleground – for playing alongside a hacker. The ban was issued after he shared a few clips online where he is seen riding in a flying car and shooting a player hiding inside of a building using hacks. While he was half-way through a match, Shroud found that PUBG decided to ban him for an entire month for committing two offences as said above. “It really goes to show that [developer] PUBG [Corp.]-full offense to you guys-don’t give as-, because that guy should have been banned immediately,” Shroud commented after the ban. He also questioned as to why the original hacker had not been banned yet whom he had encountered on three separate occasions. “He ran into me twice — the first time he ran me over fine that was kind of quick, whatever. Second time, he parked his car and I killed him when he was flying his car into the house. At that point, he should already be banned. Third time, I said F*** it, let’s see how long this last. We are riding around together — he’s still not banned,” he added. He also described the round as “the most enjoyable game of PUBG I’ve had in a long time.” Shroud can still play PUBG if he wishes to; it’s just that he won’t be able to use his main account to do so. What do you think the 30-day ban on Shroud? Do let us know your thoughts in the comments section below. Bit of a harsh on SHROUD, It is gonna influence the twitch community fo sure.